Dinner at Roscoes! 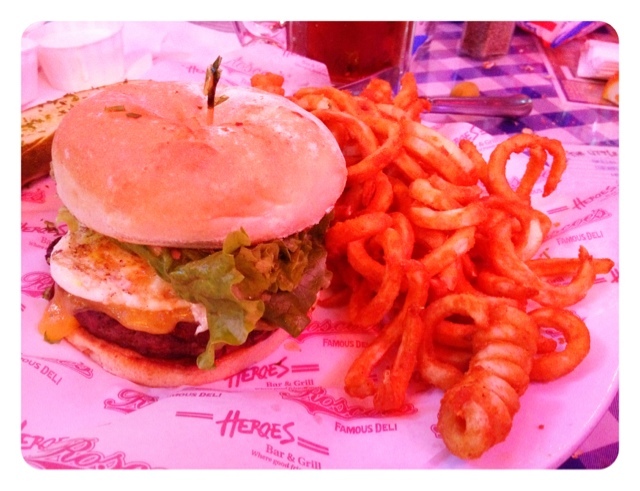 Pictured is "The Hen": 1/2 lb angus beef patty, lettuce, fried egg, applewood bacon, 1000 island on a potato bun. Served with curly fries.